Find My Workspace lists over 95% of the business centres market in Watford. Simply click Request Quote to check pricing for one office, or Add to Basket for multiple offices. 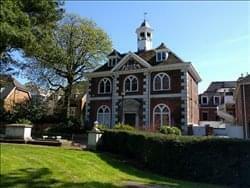 We will contact you, discuss the best options, arrange viewings and negotiate with the building owners on your behalf. All completely for FREE and with expert local knowledge! 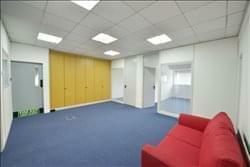 A modern two-storey end terrace office building has fully refurbished offices to let. The spaces are of an excellent standard and come in a variety of sizes, suitable for businesses both big and small. The building is on the popular Metro Centre business park development, providing a great new address for your business. The rental price is inclusive of cleaning services for the communal areas and central heating. Tenants will benefit from separate male and female luxury toilets and access to kitchen facilities. There is one car parking space on-site available per office, along with street parking. This refurbished 1700’s building gives way to a beautiful workspace. Look around you in the tranquility of St Mary’s Conservation area, where the property is situated and you would think that the setting was that of a quiet English Village but walk just 40 yards and you are in the midst of a bustling Town Centre. Leading retailers ply their wares either in the High Street or the robust shopping mall. Your only problem is deciding which of the dozens of eateries you will sample today. The offices are accessible 24-hours a day and offer high-speed internet access, are inclusive of utilities and also include office cleaning as standard. 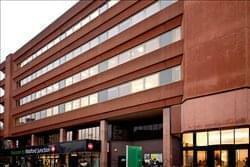 A new serviced office space right to the heart of Watford. The junction has been purpose built to provide high-quality, fully flexible office accommodation, extending to approximately 26,620 sq. ft. in total (2,473m²) arranged over two floors. Built to requirement offices can accommodate one workstation to 220 workstations. The Junction is currently undergoing a comprehensive refurbishment to a Grade A standard, including a remodeled, double height, reception area. On completion of the refurbishment works, The Junction will provide occupiers with modern office accommodation, impressive energy efficiency credentials and enhanced building services, including a highly flexible brand new VRF air conditioning system and contemporary WC and shower facilities. Whether you are looking for private office rooms, a co-working solution, flexible hot desking or to join the executive membership club, The Junction has an office solution to meet your workplace needs. Private car parking is provided at an excellent parking ratio of 1:300 sq. ft. in addition to 35 secure cycle racks. To obtain information for your selected Hertfordshire Business Centres, please tick the "Add to basket" box for each office you prefer and complete the form below. We will then send a detailed report via email.